I remember the day that Strider announced its collaboration with Buck was a very happy day for me along with a lot of knifeknuts, because it meant that all of us that either could not afford Striders or could not justify the price of a Strider could finally own one and see what was so darn special about them. 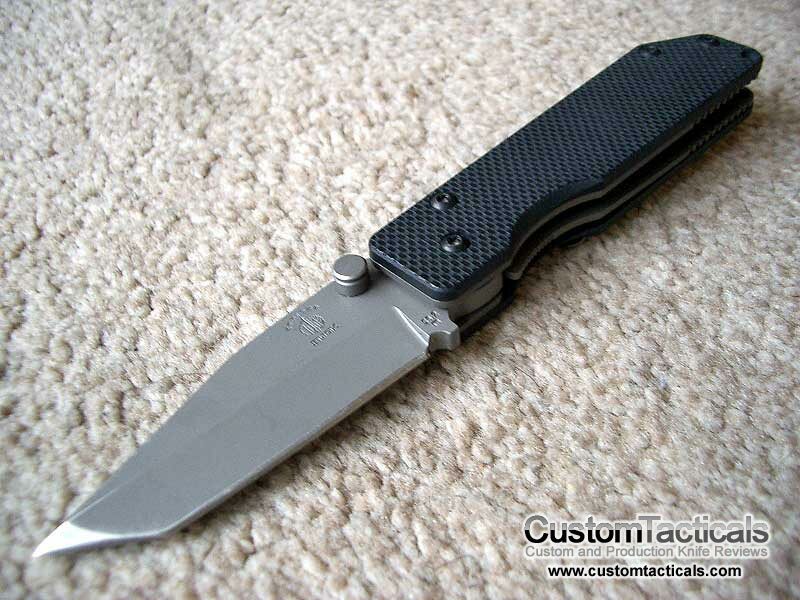 When I got this knife, I had never owned a genuine Strider yet, so it was interesting to see how beefy these were. Since this was a Mini, it really didn’t even come anywhere close to the size of an GB, not that the full size really does either, but it is a nice knife, very well made. Since I’ve owned this knife, many Striders have come into my posession, so I can now compare them with more experience. 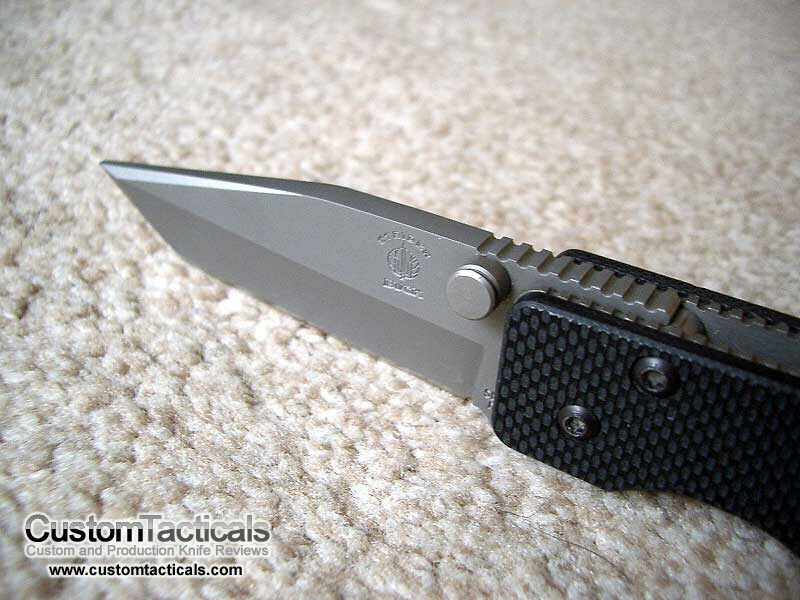 While the Buck Mini Strider Tanto is a very well built knife, suitable for hard use, it is clearly not as overbuilt as the Strider GB, with liners much thinner, and overall handle thickness much less. The pivot is also much smaller, so not quite as sturdy. The ATS-34 steel is not as good as the S30V used in the GB either. The Buck is Paul Bos heat treated, however, while the Striders used to be all heat treated by Paul Bos, the new knives may or may not be. They still use the same procedure that Paul Bos uses to heat treat their knives to acheive the same results. This is why the newer models no longer carry the Paul Bos stamp. The Buck Mini Strider is probably the best Buck I had ever owned at that point. Since then of course Buck has really stepped it up in terms of quality with their Tactical knives with the Mayo stuff and others. 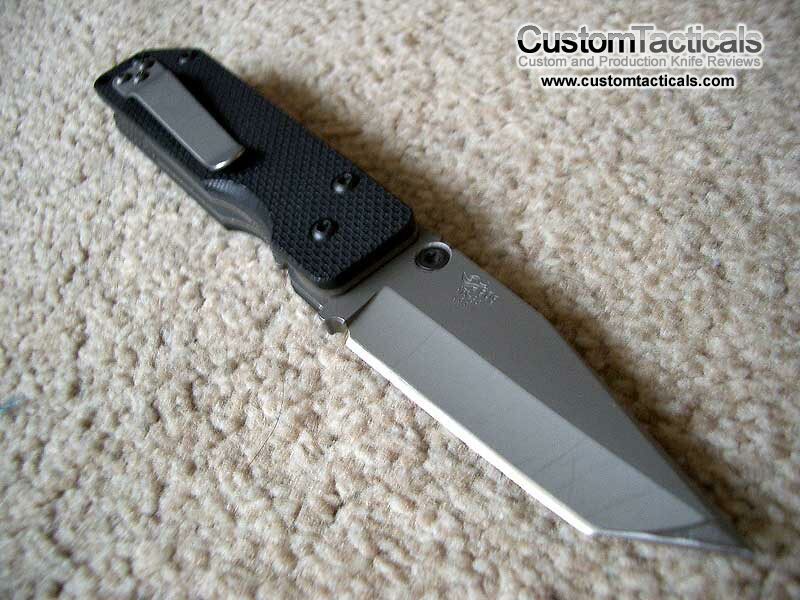 The G10 ont he Buck Strider is pretty gritty, and will shred your pockets if you use it a lot. The pocket clip was a bit tight when I received it, so I pulled it out from the scales a bit. The Strider designs in general tend to be more angular and less organic, but this is not a negative thing. They fit the hand really well and no real hotspots in use. Blade on this knife is pure Strider in it’s thickness. Very beefy. The American Tanto grind is sort of smaller on the tip edge, and not quite as sharp due to the obtuse angle. I had some difficulty sharpening the tip of this one, but it got there eventually, and since it’s not the primary cutting edge, its not as crucial. Overall, this is a sweet little knife and for the money, which is $100-150 on the net, its not bad. I don’t know if Buck is still making this model, but it seems to still be available on and off around the internet. Its grippy, thick and chunky, with a nice blade steel. ATS-34 in this case. Heat-treated by Paul Bos. Its a great knife!